This drawing represents a freer style of art making I have been adopting inspired by a Japanese Aesthetic known as Wabi-sabi (ie beauty found in imperfection and transience). I just love the great energy found in initial rough sketches, unlaboured, free, alive. 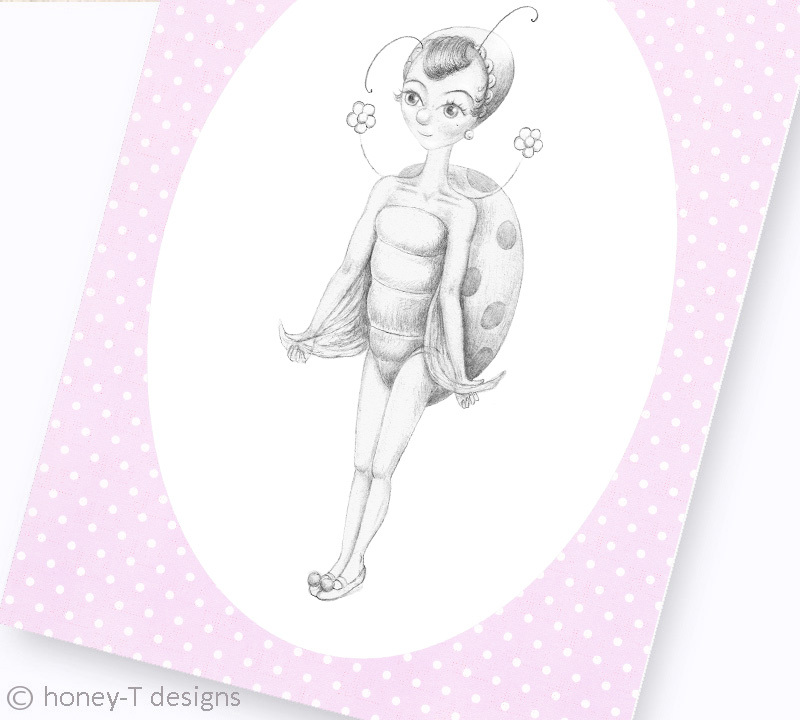 Annabelle Beetle postcard was just featured on Polyvore.com! Thank you to Samantha at The Handmade Business Mentor for supporting honey-T designs! New work in progress for Buba Mara’s Garden!